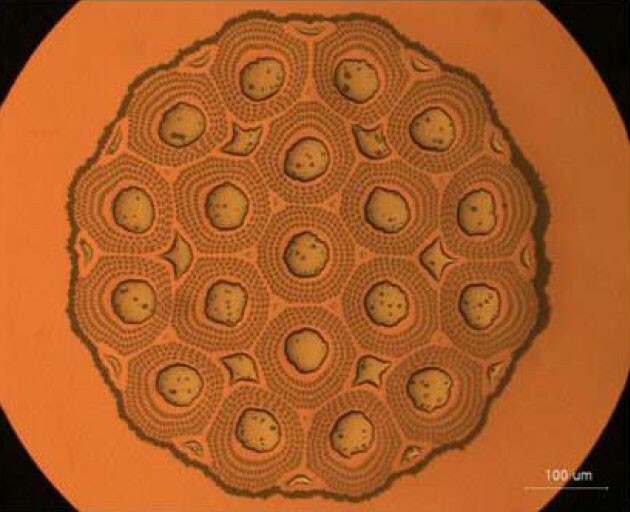 Photomicrograph of the Nb3Sn wire produced by Kiswire Advanced Technology, for use in the ITER toroidal field magnet conductor. Visiting the strand production facility in Korea: representatives from the Korean Domestic Agency, the ITER Organization and Kiswire Advanced Technology. Kiswire Advanced Technology (KAT), a company located in Daejeon, Korea, has started the production of 28 tonnes of niobium-tin (Nb3Sn) wire for ITER's toroidal field magnets. KAT has already produced more than 800 kg of wire using in-stock raw materials and is now in the process of carrying out acceptance tests as required by the Procurement Arrangement. KAT is committed to implementing the required level of quality assurance and to entering all monitoring data into the Conductor Database developed by the ITER Organization. The Republic of Korea, represented by the Korean Domestic Agency, is responsible for manufacturing 20 percent of the cable-in-conduit conductors for ITER's toroidal field coils. This represents a total 20 kilometers of superconducting cable made out of 90 tonnes of Nb3Sn strands. 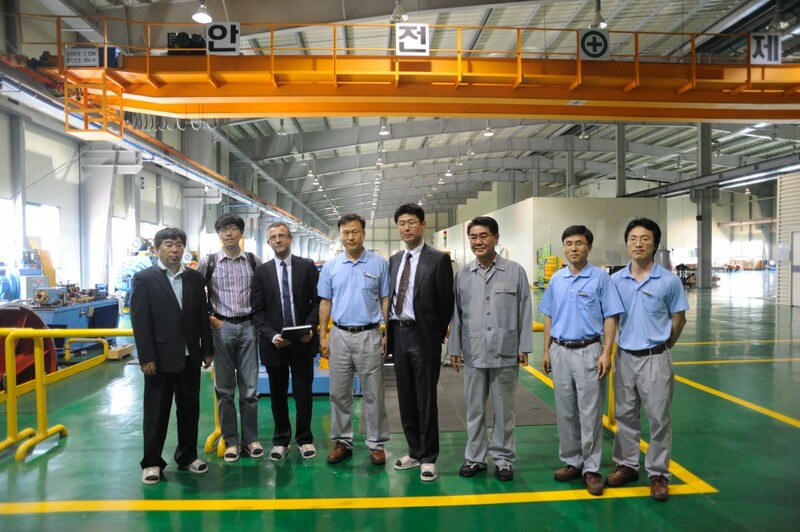 In order to assess the progress of Nb3n strand production, the Technical Responsible Officer on the Korean side, Keeman Kim, and Arnaud Devred, Leader of the Superconductor Systems & Auxiliaries Section within the ITER Organization, visited the KAT manufacturing site on Monday this week and found it "bursting with activity," as reported by Arnaud. The visit was completed by a Conductor Database training session given by Kazutaka Seo from the ITER Organization, and attended by representatives from the Korean Domestic Agency and KAT.